Monday August 26th at 8:00 PM EST two ISTE special Interest groups SIGVE and SIGML ( special interest groups for virtual environments and mobile learning) will join with VSTE (Virginia Society for Technology in Education) at the VSTE Second Life location http://maps.secondlife.com/secondlife/VSTE%20Island/28/91/24 to discuss the use of Minecraft in education. 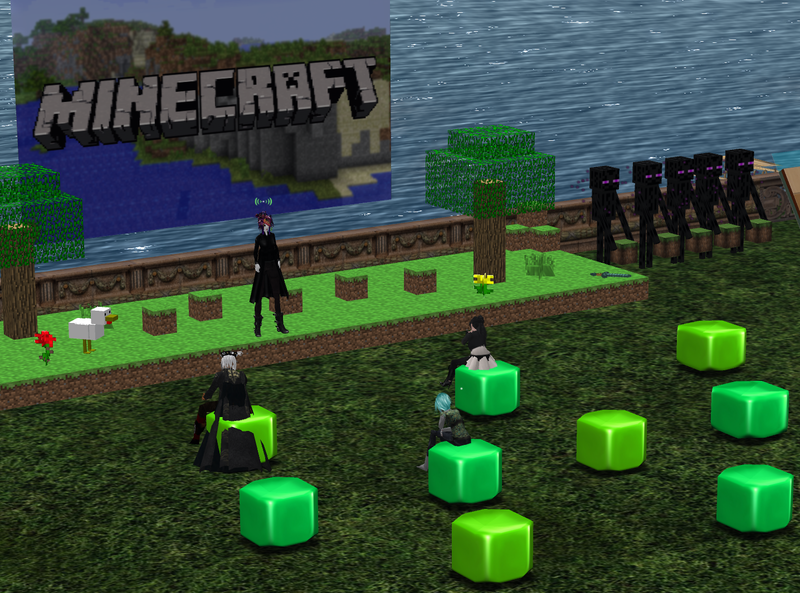 Educators can gather for the one-hour, live event in the virtual world of Second Life or watch on YouTube, as the event is live-streamed with the use of Google Hangout on the Gamesmooc channel at https://www.youtube.com/user/gamesmooc/. Speakers include educators Melody Collier from Texas and Trish Cloud from North Carolina who will discuss their experiences with Minecraft and education. Children who use Minecraft will also be on air to give their perspective on using Minecraft. This is an opportunity to hear and see how some educators and students are using Minecraft and to ask questions of both teachers and students. A Tweetchat, on the same topic, will follow the event from 9:00-10:00 PM, hosted by ISTE SIGML. They will be using the hashtag #SIGML. The use of Minecraft in school has increased for a number of reasons, one being the clear alignment to problem solving, communication, collaboration, and digital citizenship ( all embedded within the Common Core Standards). Additionally, game-based learning has received much attention, (currently at the top of Gartner’s Hype Cycle) and educators are recognizing that student motivation and interest in learning via this type of technology.